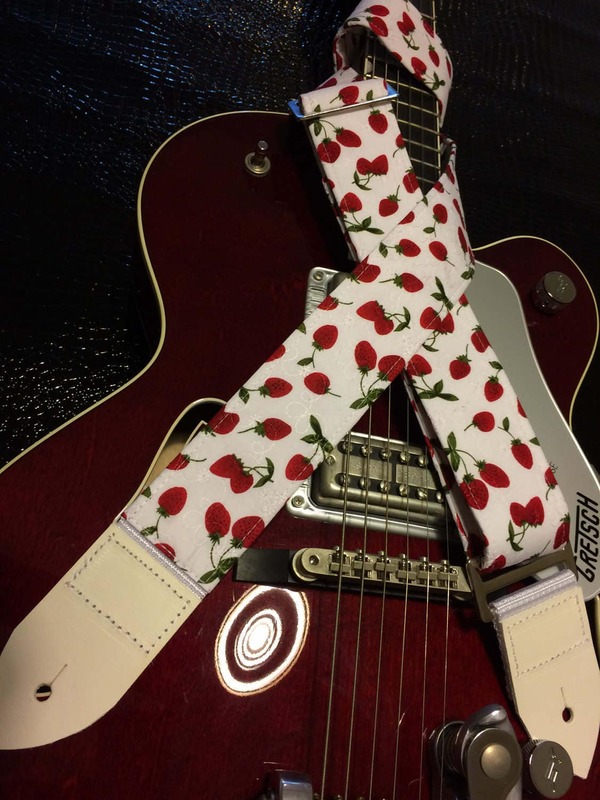 Stunning 1960s retro styling in a quality handmade guitar strap. The fabric is reminiscent of 1950s mid-century childhood favourites, with luscious vibrant strawberries on white broderie anglaise. 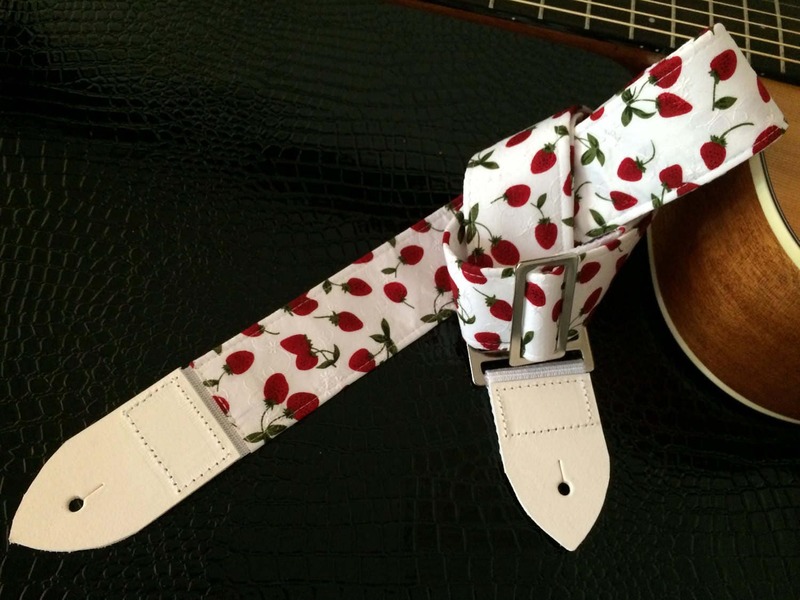 The fabric of this strap is 100% medium-weight cotton. 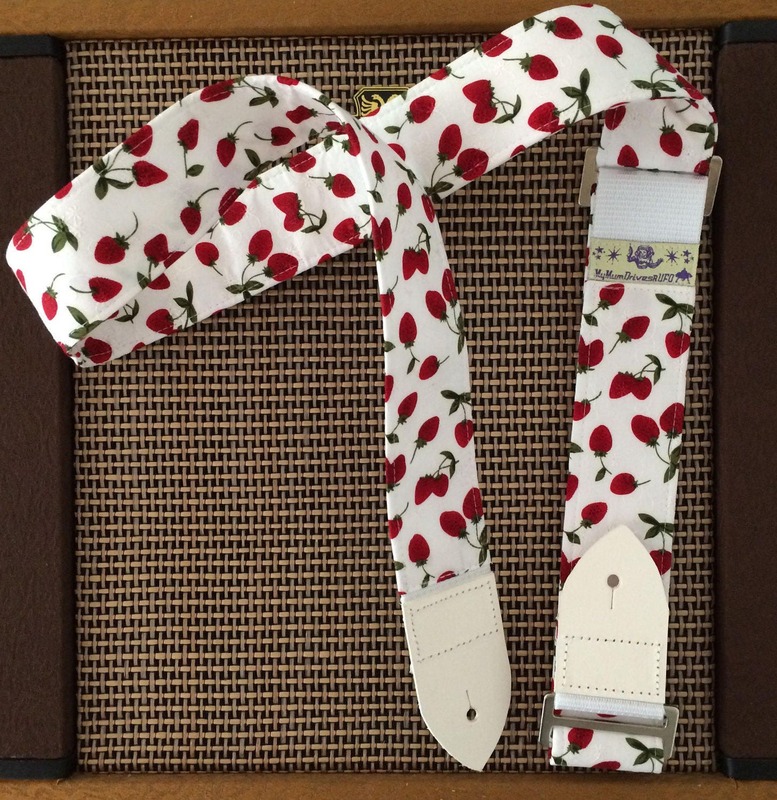 The construction of the strap gives it a lot of stability to hold its shape as well as being comfortable to wear and gorgeous to look at. 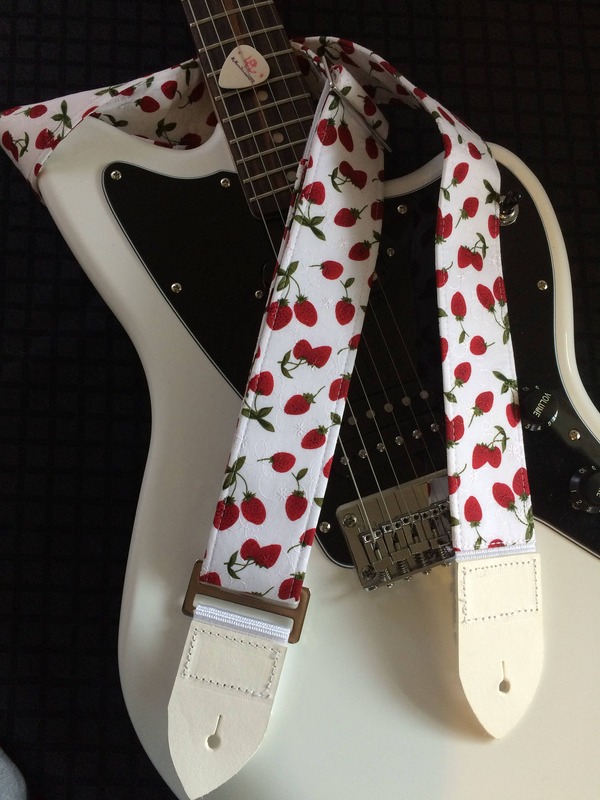 With its heavy-duty white leather ends, white webbing core and chrome-coloured metal fittings, this strap is stylish and seriously cool. 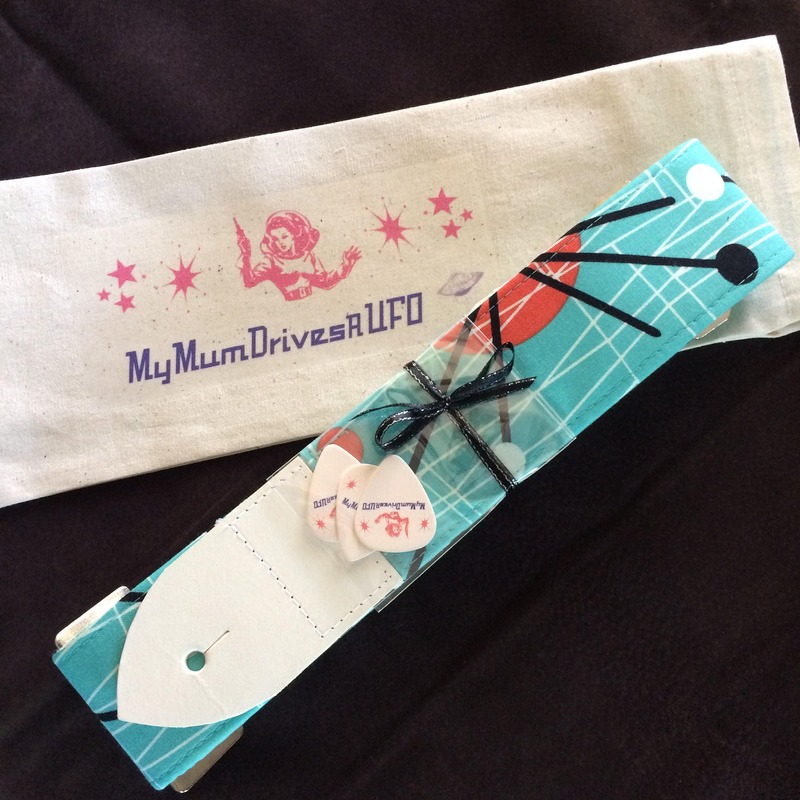 Fantastic and so beautifully gift wrapped thank you! 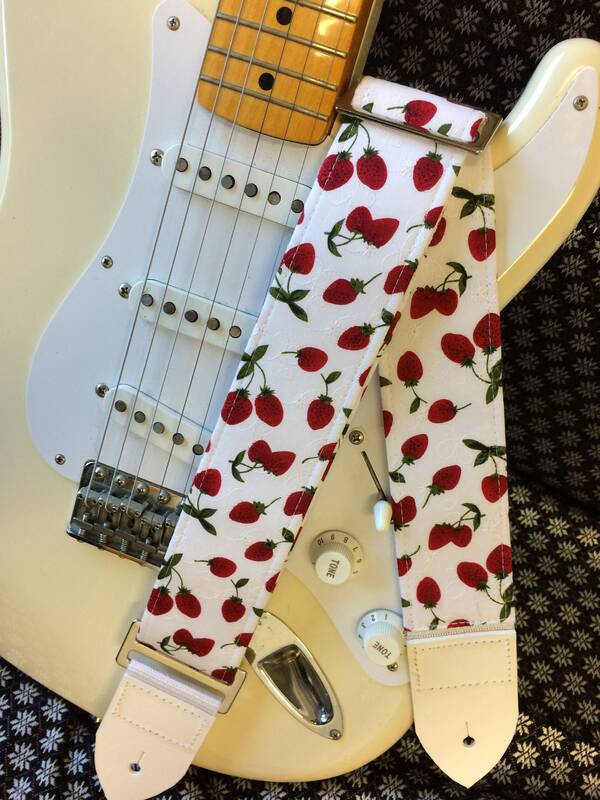 I really love this strap ! The material is beautiful ! 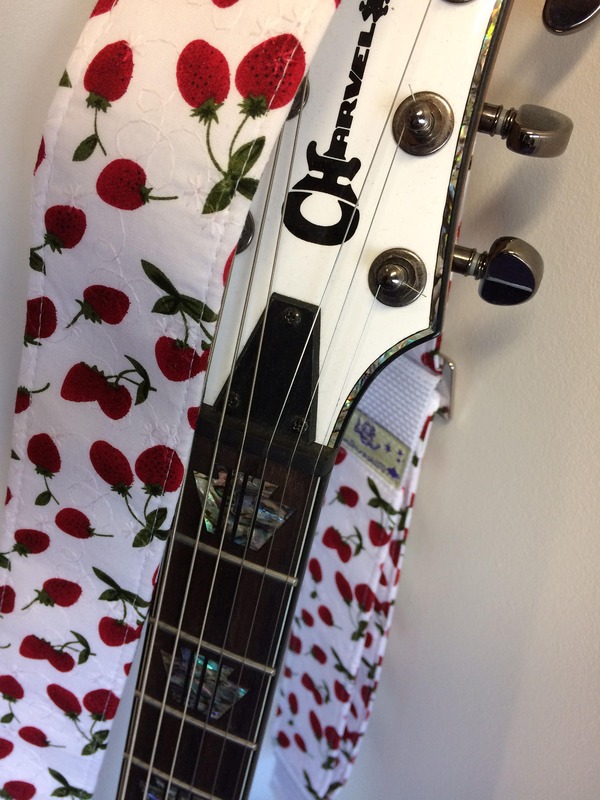 I’ve always wanted an original guitar strap but never was able to find one... thanks a lot Elaine I truly love it ! 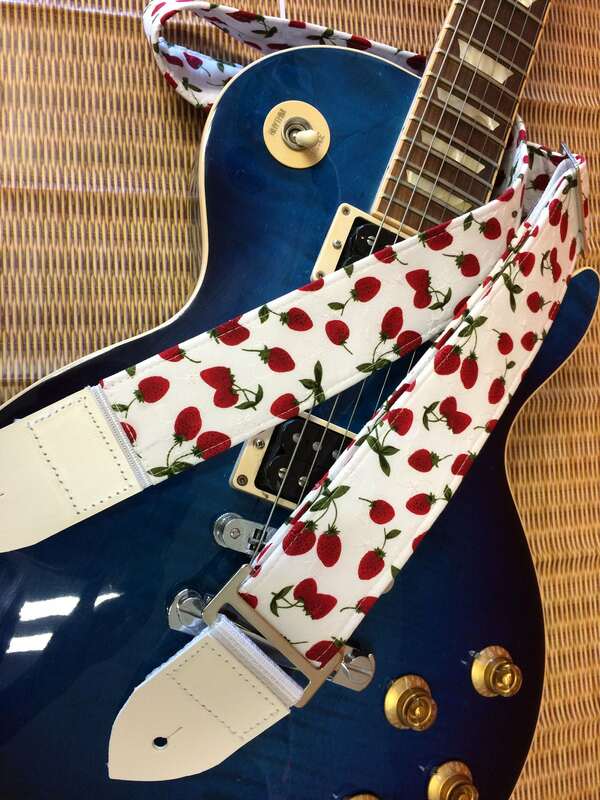 Absolutely stylish and beautiful guitar strap! Very well made and everything I expected it to be, definitely satisfied and definitely would order from here again! Very happy with this purchase, thank you so much!